Growing up in Senegal, on the west coast of Africa, life and art shared the same space. They were indistinguishable. 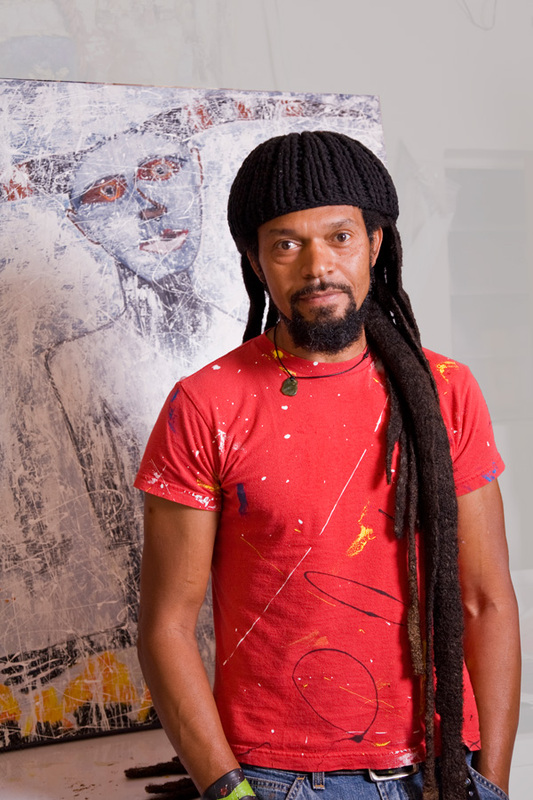 As a young boy in Dakar, I learned that art is the tool I have for a direct and honest conversation with my own heart. Art always has been my rescuer, my liberator – creatively, emotionally, spiritually. I’m a self-taught painter, able to create in any media, always painting work that is straightforward and personal, work coming from a place within me that is constantly loud and growing. My work has been called naive. I fill my canvases with intense and basic colors, crisply painted shapes, and meticulous detail; I make work without conventional representational techniques; my work is free of metaphor, irony and paradox. I paint straightforward narratives, stories of my journey and memories of everyday experiences. Everything I create and paint comes through my relationship with the world around me, my direct response to my fantasies, my wonder and my spiritual growth. No journey in my life remains as straightforward as painting.